Hey guys! I wanted to share this cool Halloween decoration DIY with you. 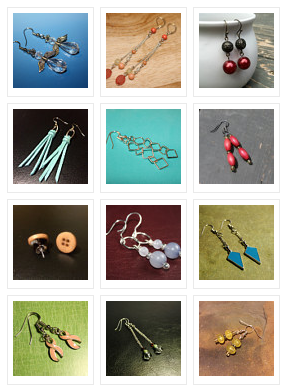 There is no reason why you have to spend a lot of money on decorations, you can make some really cool things for less than $5. 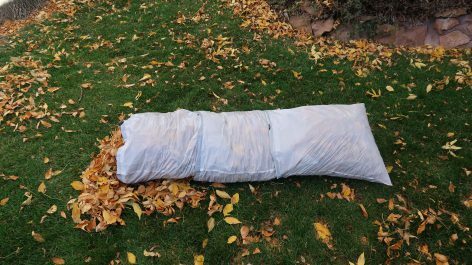 This post is about how to make a dead body bag for $3-5. 1. 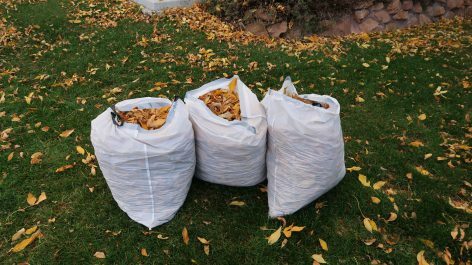 Begin by stuffing 3 trash bags with leaves, these should be pretty full. 2. Line the trash bags up in a row, one after another. 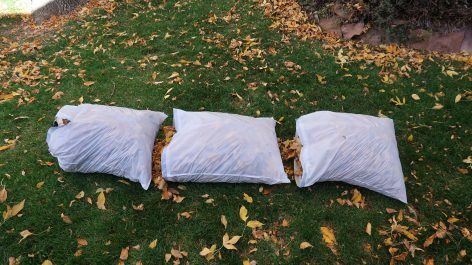 Then stuff the bags about 1-2 inches inside each other so if forms one large bag. 3. 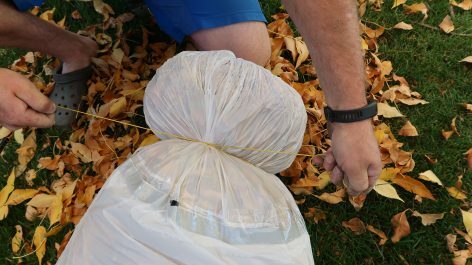 Pull the drawstrings on the top trash bag to seal the hole. If your bag does not have drawstrings, just tie and knot to close it up so it’s sealed. 4. Now use your clear tape to seal the 3 bags together. You’ll tape the edge where you tucked the bags inside each other. I start by taping the side facing up, then once I’ve sealed those edges, I flip the bag over and tape the other side. This is much easier than trying to wrap your tap around the entire bag at once. 5. 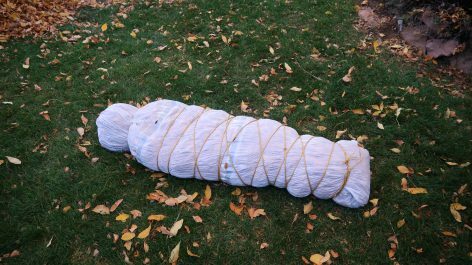 Next, you’ll use your rope to tie off the head of your fake dead body. 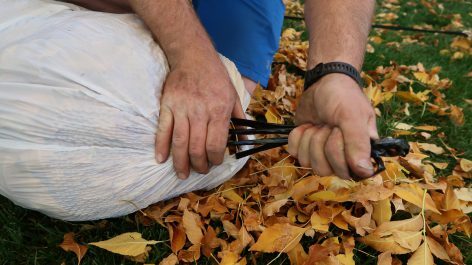 You should use the end of the bag where you tied the drawstrings to close the bag off. This will have more of a head shape. You may have to move your rope up and down until you get the correct distance from the top to make a good head shape. If you tie it too low or too high, the head could look very large or way too small and it won’t look realistic. 6. Next you’ll use the rope to create the body shape. 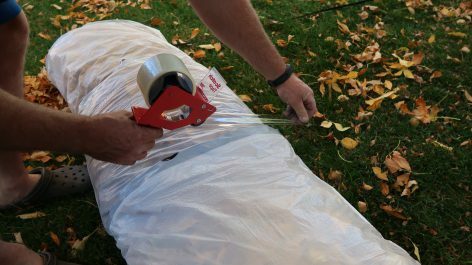 Begin at the opposite end of the head (bottom of the bag), wrap the rope around the bag and tie a knot. Now begin to wrap the rope around the bag slowly making your way to the top. IMPORTANT! Do not pull the rope too tight and gradually loosen it as you make your way to the top (head). A persons shoulders are much wider than their legs so the fake dead body should be larger by the head and then gradually get tighter towards the legs. Once you get to the top (head) start crisscrossing the rope back down to the bottom, going over top of the rope you already wrapped. Once you get to the bottom, tie off the rope and cut any remaining rope. 7. Lastly, shape your head so it’s round and push down the leaves where the shoulders would be. 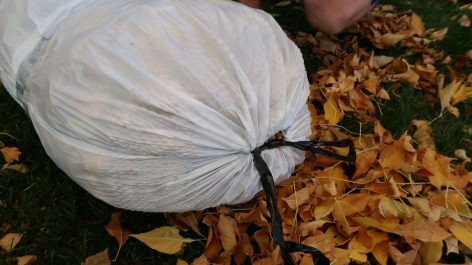 This will make it look more realistic, instead of a bag full of leaves lol Now You’re Done!! 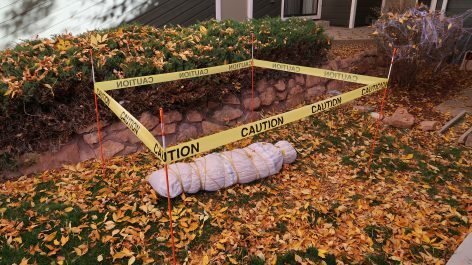 you just need to place your fake dead body in your halloween display! 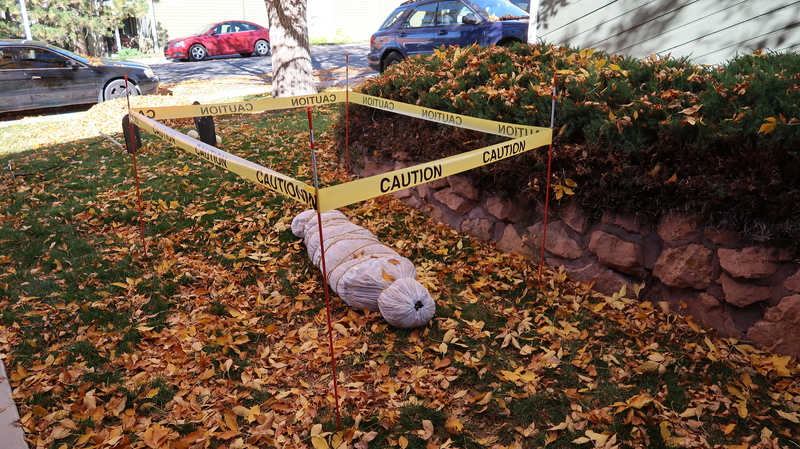 This is a super creepy and cheap decorating option for Halloween!